To obtain simulation results, you would need to connect to one or more trace sources provided by ndnSIM classes. It is also possible to use existing trace helpers, which collects and aggregates requested statistical information in text files. Packets estimated rate (EWMA average) of packets within the last averaging period (number of packets/s). PacketsRaw absolute number of packets within last averaging period (number of packets). KilobytesRaw absolute number of kilobytes transferred within the last averaging period (number of packets). This tracer is similar in spirit to ndn::L3RateTracer, but it currently traces only packet drop on layer 2 (e.g., due to transmission queue overflow). A number of other tracers are available in plugins/tracers-broken folder, but they do not yet work with the current code. Eventually, we will port most of them to the current code, but it is not our main priority at the moment and would really appreciate help with writing new tracers and porting the old ones. 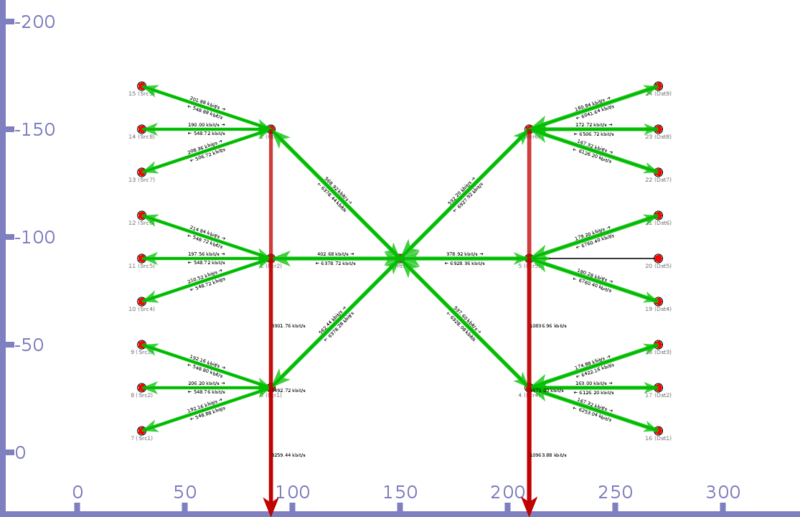 This example (ndn-tree-tracers.cpp) demonstrates basic usage of Packet-level trace helpers. The successful run will create rate-trace.txt files in the current directly, which can be analyzed manually or used as input to some graph/stats packages. For more information about R and ggplot2, please refer to R language manual and ggplot2 module manual. This example (ndn-tree-with-l2tracer.cpp) demonstrates basic usage of Packet-level trace helpers. The successful run will create drop-trace.txt file in the current directly, which can be analyzed manually or used as input to some graph/stats packages. NOTE: This tracer works ONLY when the content store structure of ndnSIM is used! With the use of ndn::CsTracer it is possible to obtain statistics of cache hits/cache misses on simulation nodes. This example (ndn-tree-cs-tracers.cpp) demonstrates basic usage of content store tracer. In this scenario we will use the same tree-like topology as in previous example, where consumers are installed on leaf nodes and producer is in the root of the tree. 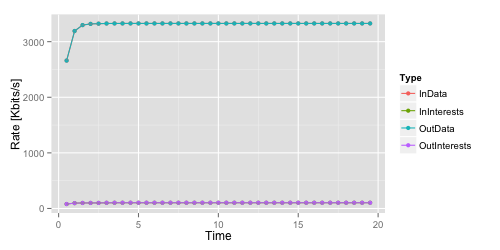 The main difference is that each client request data from the same namespace: /root/1, /root/2, ... Another small difference is that in this scenario we start our application not at the same time, but 10 ms apart. The successful run will create cs-trace.txt, which similarly to trace file from the tracing example can be analyzed manually or used as input to some graph/stats packages. With the use of ndn::AppDelayTracer it is possible to obtain data about for delays between issuing Interest and receiving corresponding Data packet. HopCount the number of hops that the retrieved Data packet traveled on the way back from producer application or cache. 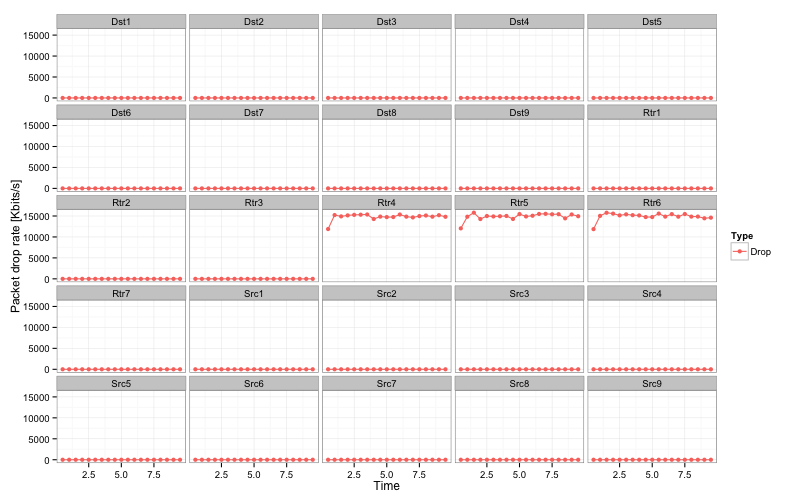 This example (ndn-tree-app-delay-tracer.cpp) demonstrates basic usage of application-level Interest-Data delay tracer. The successful run will create app-delays-trace.txt, which similarly to trace file from the packet trace helper example can be analyzed manually or used as input to some graph/stats packages. © Copyright 2011-2015 (c) Alexander Afanasyev, Spyridon Mastorakis, Ilya Moiseenko, and Lixia Zhang. Created using Sphinx 1.2.3.